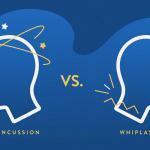 Recently, Your Pensacola Chiropractor was performing an exam on a patient who had been involved in an auto accident. During the evaluation I asked the patient some details about his auto accident including how the collision occured and the locations of his neck and back pain. 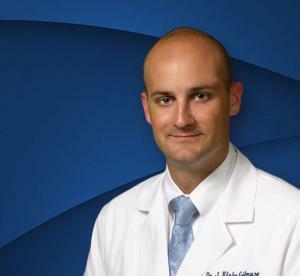 Like so many other patients he was able to clearly state that he was wearing his seatbelt and that his airbag did function properly, but he could not tell Your Pensacola Chiropractor whether or not his head rest was properly positioned. The reason for this is that the majority of people are never properly taught that the head rest is actually a Head Restraint, whose job is to decrease the amount of whiplash forces a persons head and neck experience during an auto accident. Since the best way to treat any symptom is to prevent said symptom in the first place, lets go over how you should have the head restraint positioned in your car so it will best help to protect you in the event you are in an auto accident. There are two key positions you should be trying to acheive. First, you want the top of the headrest a little above the top of your head. If you are in an automobile accident in which you are hit from behind, this will allow the head restraint to catch your head as it goes backwards during the whiplash movement. If the head restraint is positioned too low your head can go over the top of the head restraint during the backwards whiplash movement. 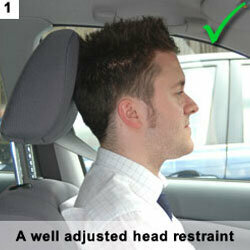 Secondly, you need to get the head rest as close to your head as possible. 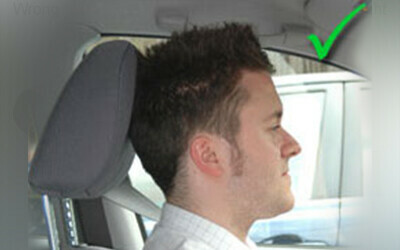 This will help decrease the distance your head snaps bacwards in the event you are rear ended in an auto accident. You can go to the Royal Society for the Prevention of Accidents website for more information about the poper head restraint usage by clicking here. Remember, the goal of the head restraint system is to decrease the whiplash forces a person experiences during an auto accident. So listen to Your Pensacola Chiropractor and get the head restraint in a position that is close to the back of your head with the top of the head restraint a little above the top of your head. This will allow the HEAD RESTRAINT to restrain your head the way it was designed and protect your head and neck in the event you are in an auto accident. 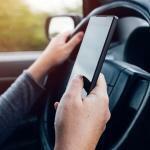 Even when we take all the proper precautions, such as wearing our seatbelts and properly positioning our head restraints, injuries are still going to occur to people involved in auto accidents. If you are ever in an auto accident you should evaluated by a healthcare professional. Your Pensacola Chiropractor and the staff at Gillmore Chiropratic are avaible to evaluate your condition and provide treatments if necessary for any auto accident injuries you may have suffered. Please give us a call at our Pensacola Chiropractic office and let Your Pensacola Chiropractor provide you with the quality care you deserve.